What is the law in your state? In Georgia, there is no complete cell phone ban, and there is no hand-held ban like that of the State of Washington. There is a cell phone ban for drivers under the age of 18 and for school bus drivers. This ban includes the usage of the phone for any type of activity (call, text, etc) and also prohibits the use of any other electronic device like computers or messaging devices. If convicted, a user will be fined $150 or $300 if driver is involved in an accident. Texting (reading, writing, or sending) is prohibited for drivers of all ages and includes the use of any electronic devices used for text messages, instant messages, email, etc. The fine for conviction is $150. By signing this law, the Washington Governor joins 13 other states (in addition to D.C., P.R., Guam, and the Virgin Islands) in banning the hand-held use of electronic devices. 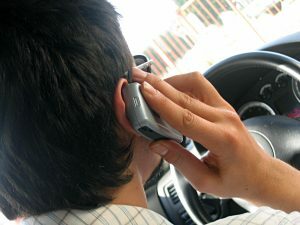 “The minimal use of a finger” is still allowed to activate a phone call, but the call must continue without the phone in the driver’s hand. This at least narrows down on the types of distractions the driver is experiencing when using an electronic device behind the wheel. First, put down your phone. No text message is worth taking your own life or that of someone else. Second, if you have a teenage driver, ask them to sign a pledge with you promising to not drive distracted. Robin Frazer Clark pursues justice for those who have personal injury claims as a result of being injured due to motor vehicle wrecks, trucking wrecks, defective products, defective maintenance of roads, premises safety, medical malpractice and other incidents caused by the negligence of others. Ms. Clark was the 50th President of the State Bar of Georgia and is a Past President of Georgia Trial Lawyers Association. She has practiced law in Georgia for 29 years and is a Georgia Super Lawyer. Ms. Clark is listed as one of the Top 50 Women Trial Lawyers in Georgia, and she is a barrister in the International Society of Barristers. Robin Frazer Clark~Dedicated to the Constitution’s Promise of Justice for All.